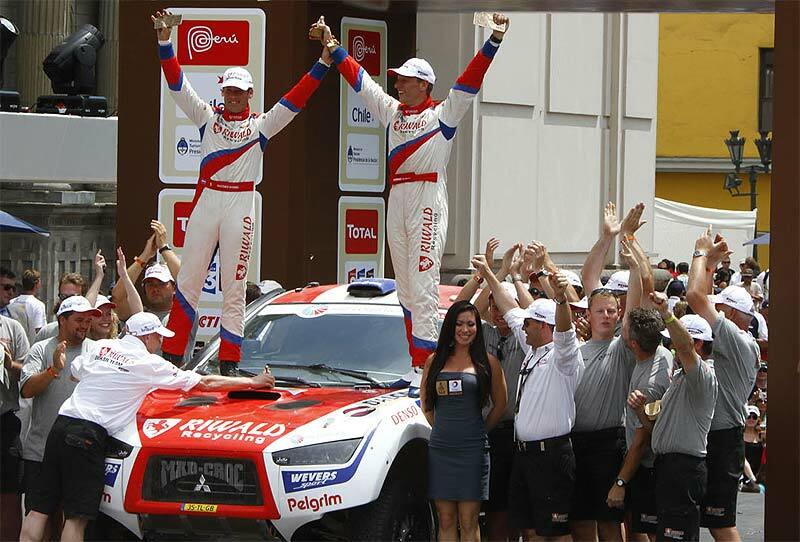 SA-Dakar Rally: Mitsubishi result - "Small moments have significant impact". Mitsubishi was ruling the Dakar for years, mostly sportive, not with big money like Volkswagen. With Volkswagen, Mitsubishi became a bigger concurrent, with more budget, more influence. Volkswagen was participant and sponsor in one person - so nobody wondered, when the Dakar organiser styled the "new" Dakar in South America like Volkswagen wanted to have them wo win. Easier tracks, less offroad, no marathon-stages. Mitsubishi doesn´t had the budget and power - and with the new Diesel-Racing Lancers from 2009, also no winning car anymore. So they sold their cars and retired as factory-team. First the French Nicolas Misslin re-started the project, re-built the Lancers and re-equipped them with petrol-engines. 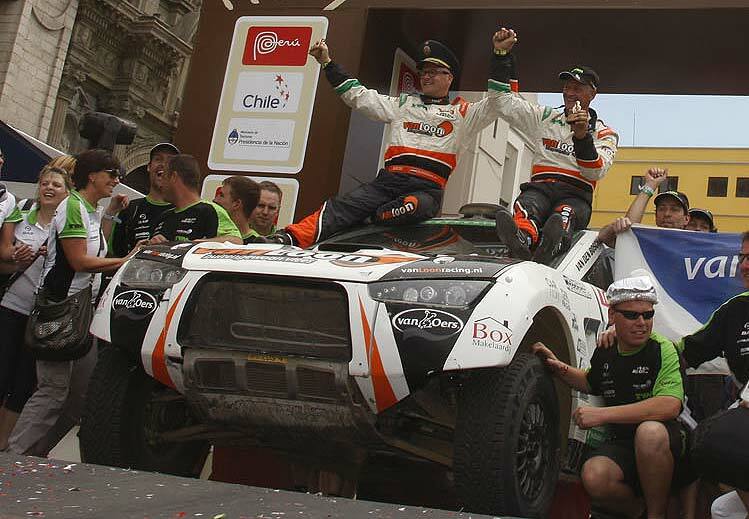 Good results in the Dakar 2010 - but then Misslin ran out of money. "Wevers Sport" and "Mitsubishi Brasil" started again to re-built the Mitsubishi Racing Lancers. With success - in the "OiLibya Rally of Morocco" the "new" Mitsubishi´s showed a good pace. But enough for the Dakar? Only three of the five Racing Lancer finished this year. 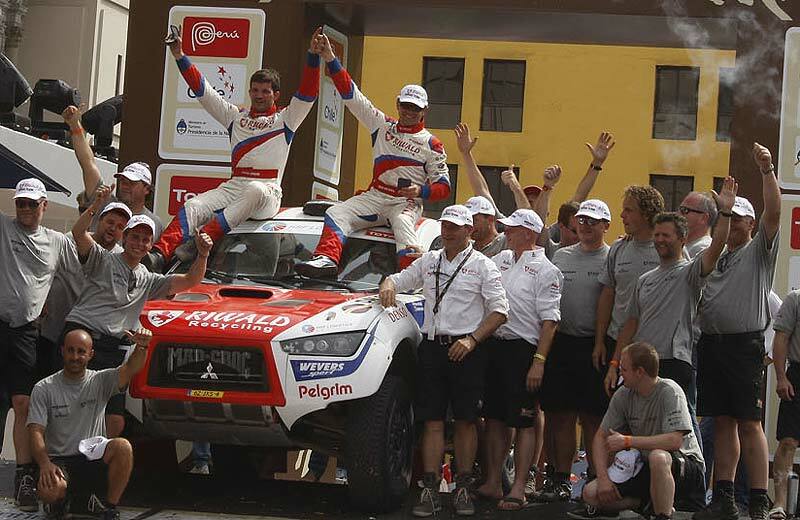 Guilherme Spinelli (Mitsubishi Brasil) and Gert Huzink (Wevers Sport) had to retire from the race. But Bernhard Ten Brinke / Matthieu Baumel finished 9th overall, Erik van Loon / Harmen Scholtalbers 17th and Teamchef Erik Wevers and Fabian Lurquin on 34th position. "That was not, what we expected" said Dutch Erik van Loon after the Rally. "But I´m not dissatisfied. The car was fantastic. I was better, faster and safer then in the last edition - and in this strong field we could reach the Top 10 several times." 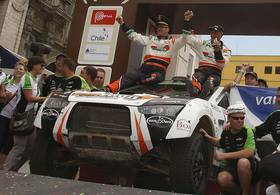 But on the stage to Arequipa he lost more then four hours after repairing the alternator. "We also get stuck sometimes and simply had bad luck" he added. So, a good future for the Mitsubishi? "The car is great, but a number of small moments have a significant impact" Van Loon said. But: "The only problem is that the Racing Lancer were nor created to drive through water - other Mitsubishis had problems with it too."